Fiberglass is the main component of our Spiral Wishing Wells. 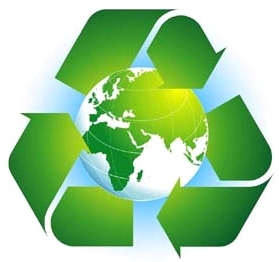 In cooperation with our fiberglass vendor, Schmidt Progressive, LLC, we focus on systems that are dedicated to reducing both energy consumption and manufacturing emissions. Below is a list of key measures that we have developed over the years that provide you with some insight into our "green" initiatives. We have converted approximately 60% of our fiberglass manufacturing operation from traditional 'spray-up' into Resin Transfer and Vacuum Bagging production methods. These injection based, closed molding methods, reduce glass and resin waste as well as styrene emissions. We use "Flow Coater" spray-up systems that decrease styrene emissions 40-55% lower than traditional "atomized" spray equipment. We use injection based, closed molding methods which reduce styrene emissions by over 80% when compared to spray-up applications. We use gelcoat and resin formulas that have a low-styrene content to further reduce emissions. We chop and compact all excess cured fiberglass waste material in order to reduce disposal volume in support of landfill reduction. We use "water based" mold releases, adhesives, and paints to aide in the reduction of chemical usage. Products fabricated using injection systems have a more uniform finish, weight, and wall thickness which significantly reduces product rejection and waste. We will continue to use the latest technology and systems to preserve the environment as we provide Wishing Wells that raise millions of dollars around the world. If you have a need for custom fiberglass products, please contact us for more information.